When it comes to having a home garden, there are the big strokes. 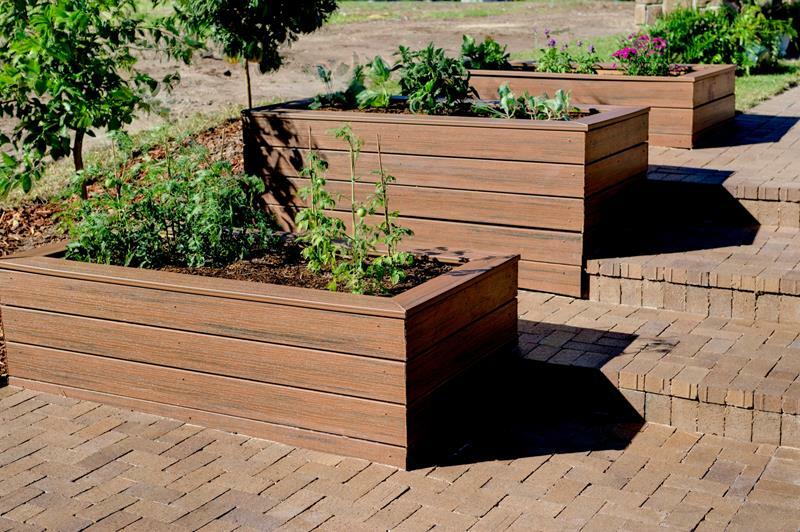 You’ll have a place in your backyard dedicated solely to raising plants and blooming beds of flowers. But, you don’t want the beauty of plant life to be confined only to that space. You want those plants to spread their brightness (and scents) to other areas of your home, both inside and out. You need flowerboxes. 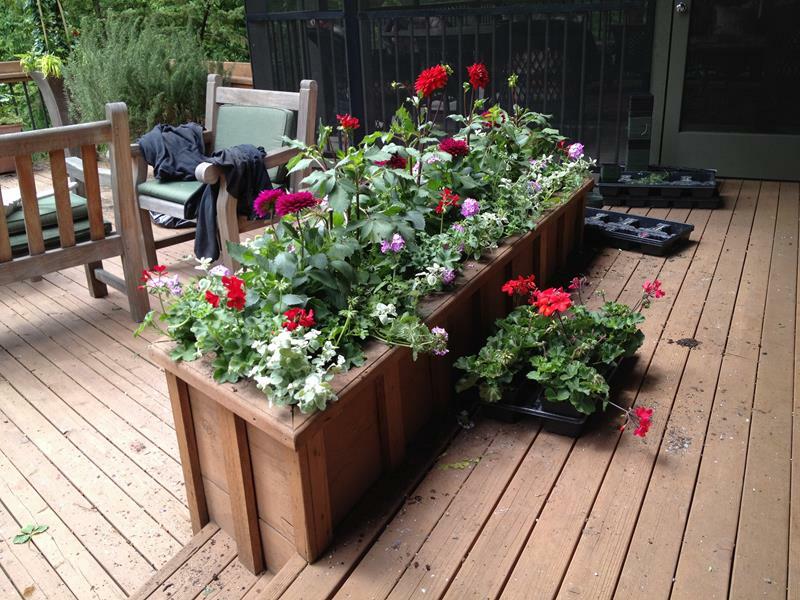 For the avid horticulturalist that’s got a bit of a creative side, there are so many things you can do with flowerboxes! That’s why we’ve decided to collect these 21 absolutely beautiful design ideas. Among them, you’ll find examples of flowerboxes that repurpose other materials to beautiful effect. In other cases, these will be well-crafted examples, things that could work beautifully in even the most contemporary of homes. So, if you’ve been thinking of adding some flowerboxes to your home, and you’re looking for inspiration, then you’ve come to the right place! Check out these 21 absolutely amazing flowerbox design ideas, and see if you can’t find one that sparks an idea for beautiful flowerboxes in your home. And, if you come up with something that you’re extremely proud of, don’t forget to share it with us! 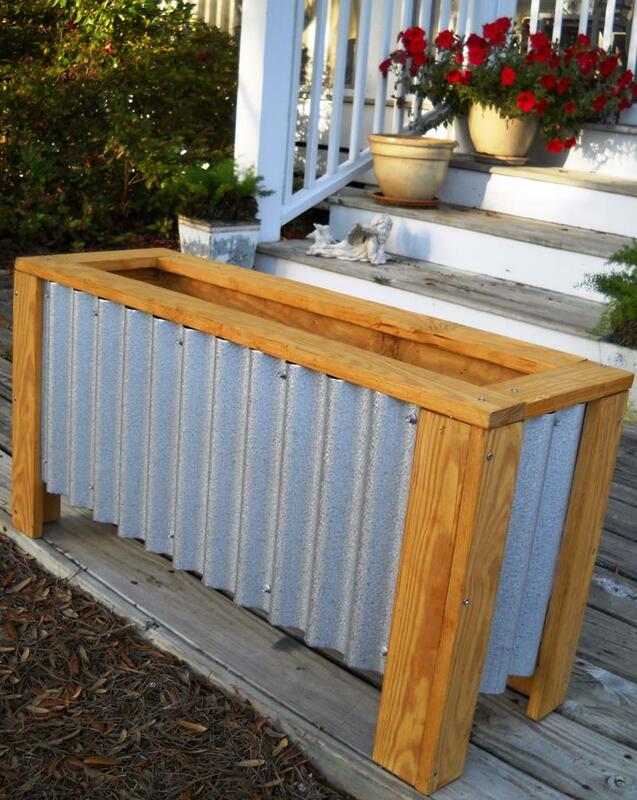 This modest flower box gains a certain level of attractiveness by making use of corrugated aluminum. 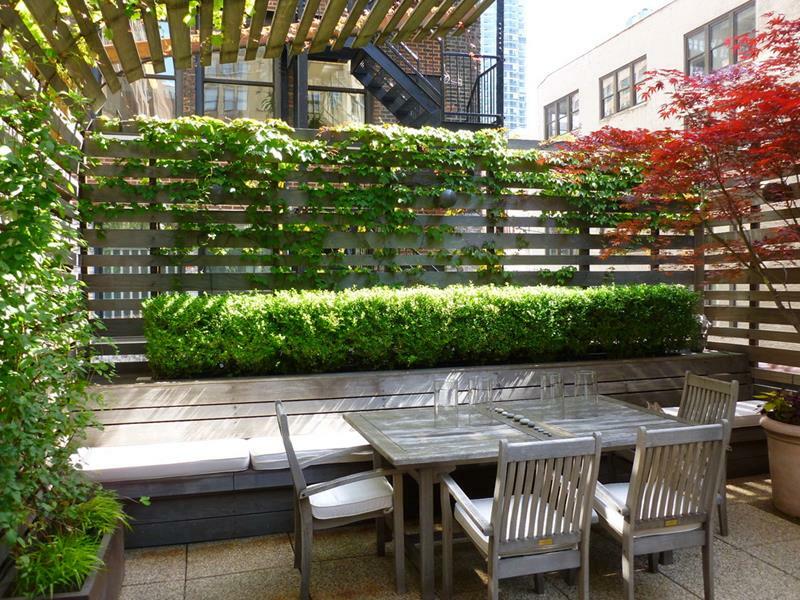 Here, a long flowerbox with attached bench frames in the back of this small urban patio. 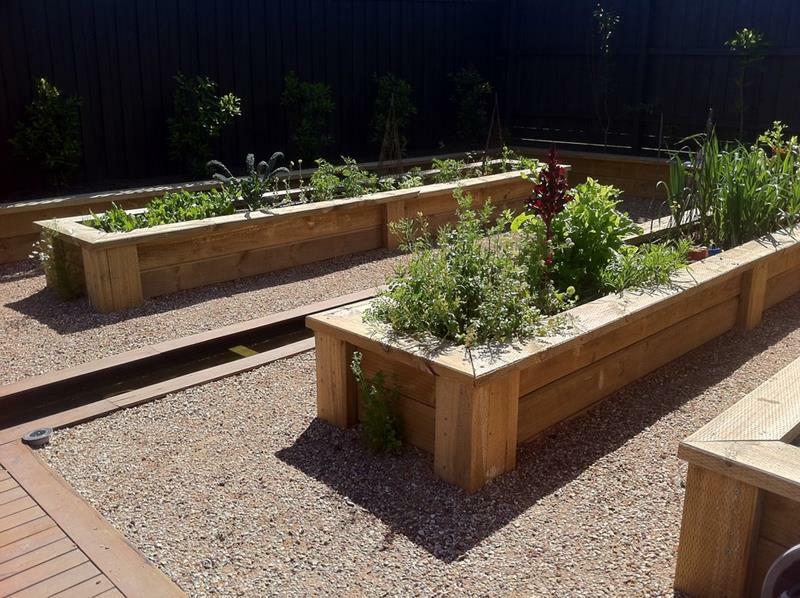 Long wooden flowerboxes surrounded by gravel keep this backyard garden neat and organized. With brick steps leading up to the front door, this home owner has installed terraced flowerboxes to add some charm. 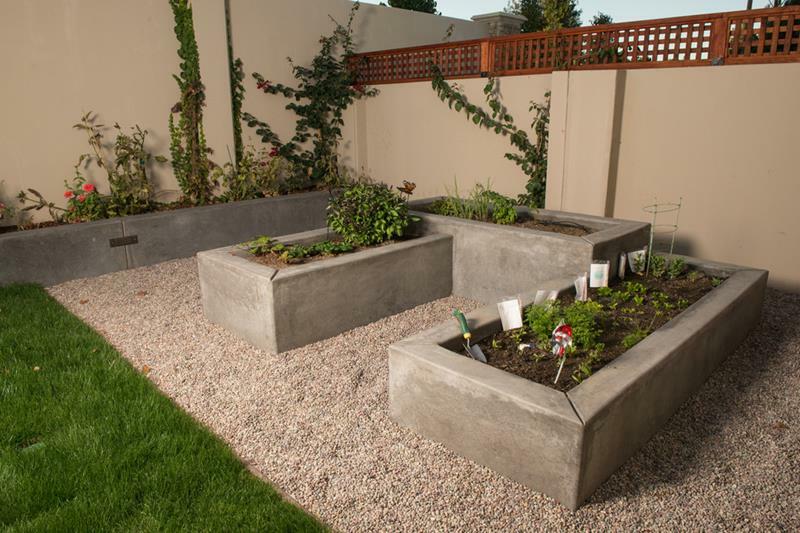 To add some architectural interest to your outdoor living spaces, you can build concrete flowerboxes like these.